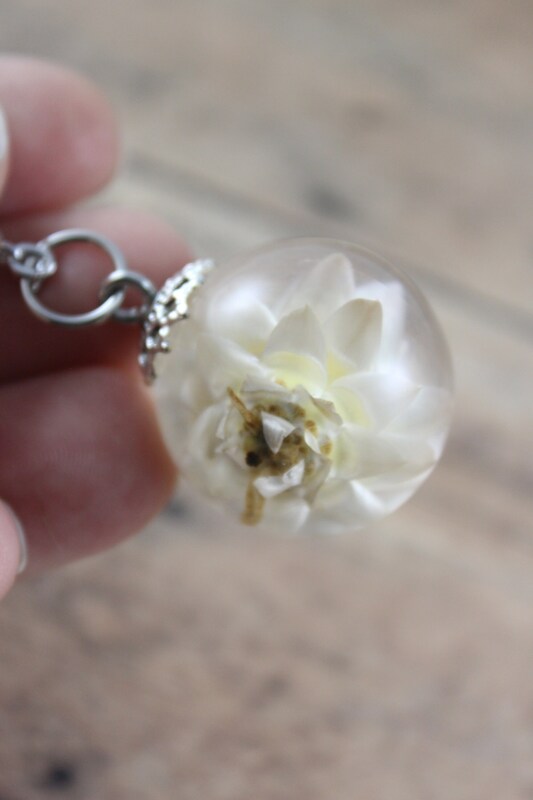 Strawflowers work so wonderfully in sphere necklaces. 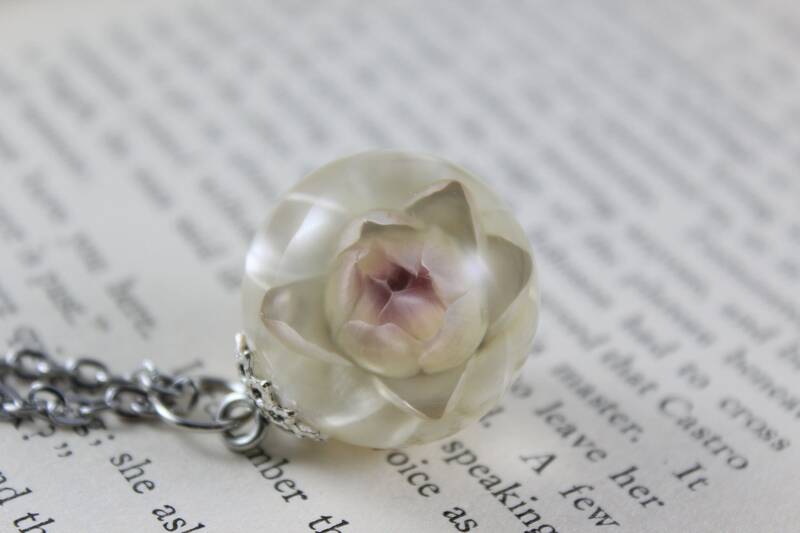 No matter which way the necklace spins there's something beautiful to look at. 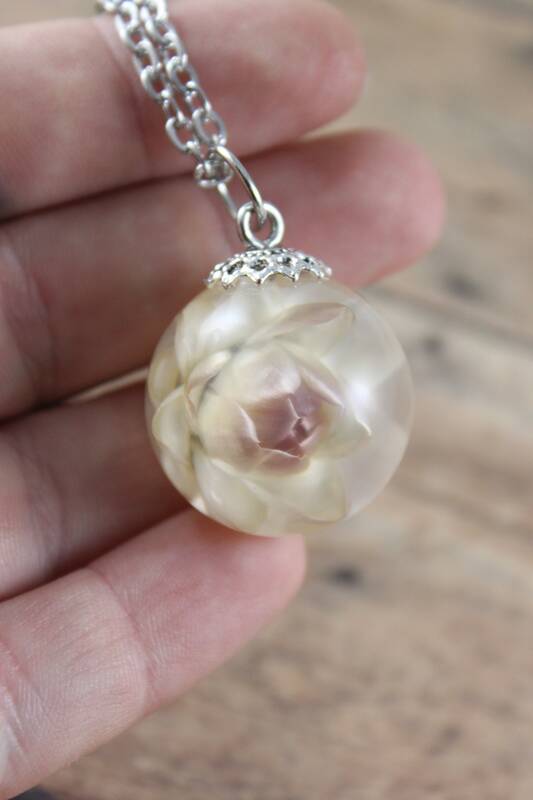 This 1" sphere holds a white strawflower with a tiny light shade of pink.